Home > Kids Deals > K’Nex Super Value Tub $10 Shipped! K’Nex Super Value Tub $10 Shipped! Earlier this month I shared this deal and it sold out quickly, well now it’s back in stock! 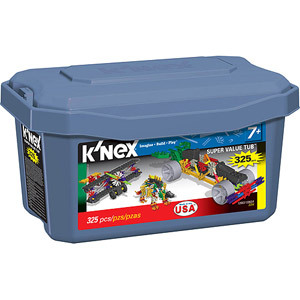 On Walmart.com right now – get K’NEX super value tub for only $10. If you choose in store pickup you’ll also get FREE shipping! The tub contains 325 pieces and instructions for 20 models. 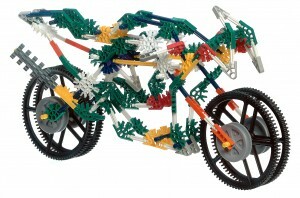 Better yet, K’NEX works with Lego blocks – so your kids can have a blast. If you have smaller kiddos they also have a chunky Kid K’Nex box on sale for $10 that is made for little hands to build whatever they can imagine. The younger aged set has 50 blocks, connectors and rods in it. On Amazon these are $22.50, so this is still a great discount!